See the Rooms Rooms fill up fast so we encourage travelers to reserve their rooms early. 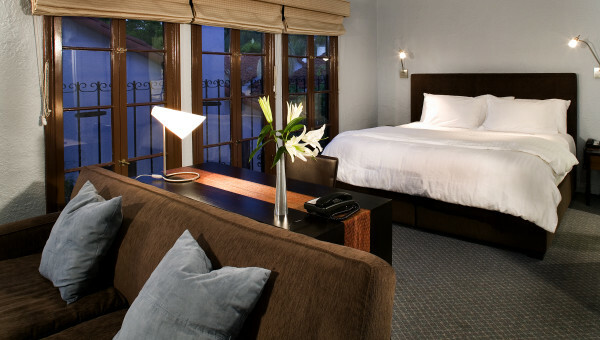 The Casa Del Mar Inn located in beautiful Santa Barbara, California is the perfect Santa Barbara hotel for a family getaway, a romantic trip for you and your partner or comfortable stay for a weary business traveler. 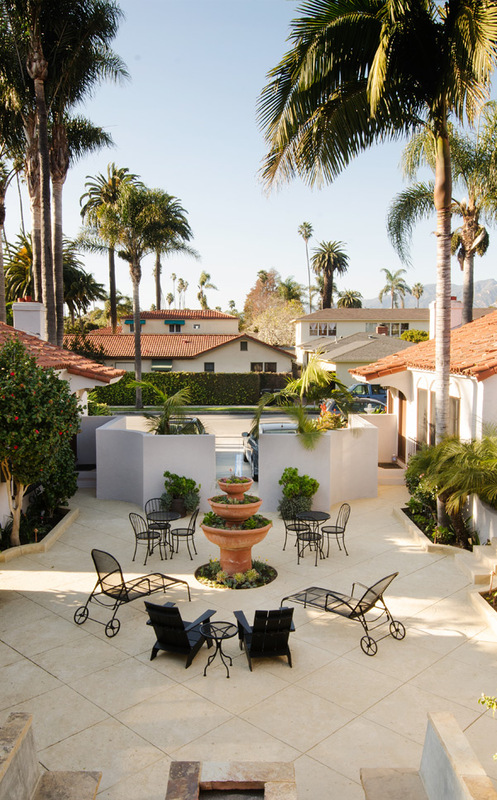 The Casa Del Mar Inn offers ideal bed and breakfast style accommodations and is conveniently situated near several pristine Santa Barbara beaches and the popular downtown shopping district. Our bed and breakfast style accommodations enable guests to choose from a variety of room options. From spacious two-room suites, just right for the whole family, to a charming room for two, perfect for your romantic getaways. 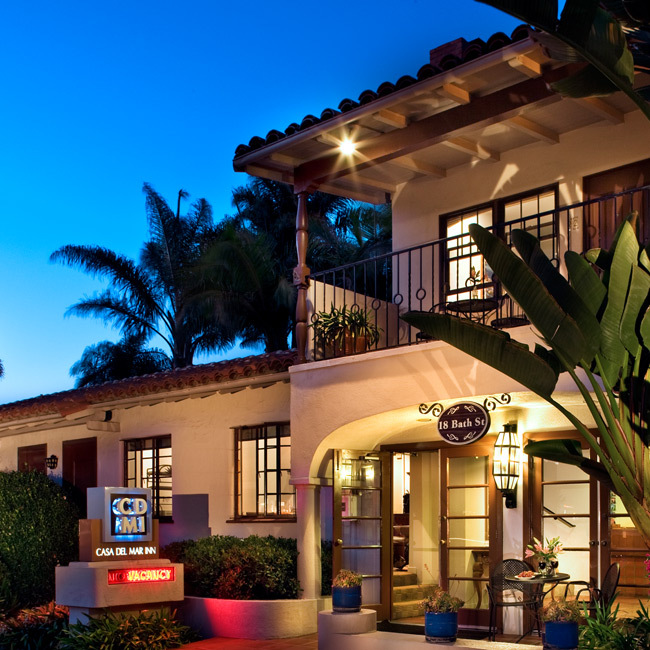 Located half a block away from the pier in Stearns Wharf, CDMI is a clean convenient dog-friendly bed and breakfast in Santa Barbara. We stayed in a 2-bedroom 2-bath suite perfect for two couples. The suite has a fairly large kitchen, dining area, and living room space with a gas-burning fireplace. I love how the rooms are both rustic and modern. The powder blue walls complement the dark brown furniture very well. The bed is very comfortable and there were inidivdual reading lights in both sides of the bed. The room price and the extra charge for dogs ($15 a night) are very reasonable. There's wine and cheese in the early evening and breakfast (bagels, muffins, bananas and cereals) in the morning. The blueberry muffins were very tasty. Internet access is wireless and free. 15% discount off of the rack rate on Sunday – Thursday nights (excluding Holidays) only until May 23rd, Subject to availability. This offer cannot be combined with any other special. Casa Del Mar Inn is located only a ½ block from the ocean. 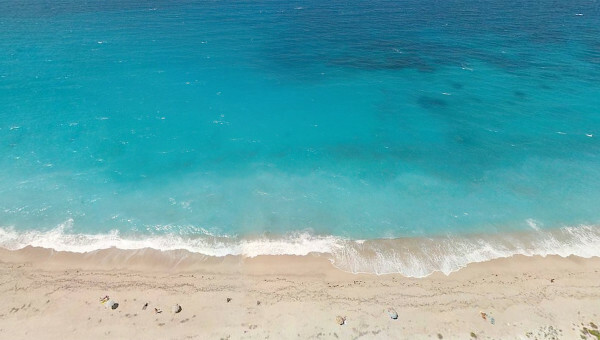 Although our rooms do not have ocean views, we are only steps away from the beach while being slightly further from the noise of the oceanfront road. 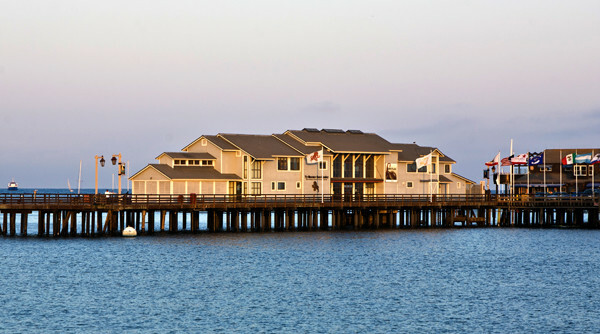 We are also only a short walk to both the Stearns Wharf and the Santa Barbara Harbor. Casa Del Mar Inn offers a variety of room types. The décor is simple with a touch of modern. The rooms vary from a single Queen to a family suite with kitchens. All rooms have a minimum of a 32” Flat Screen TV, hair dryer, ironing board and wireless internet access. Some rooms have a microwave/refrigerator, a kitchen and fireplace. All of our rooms are pet friendly. The pet fee is a $15/night per Pet up to a maximum of 2 pets per room. 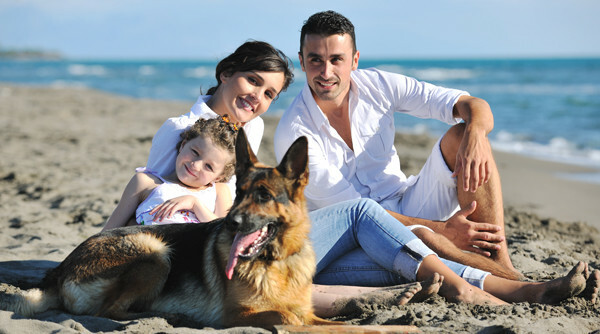 If you plan to travel with your pets, please review our pet policy.